Anka Sings Sinatra – His Songs, My Songs, My Way! 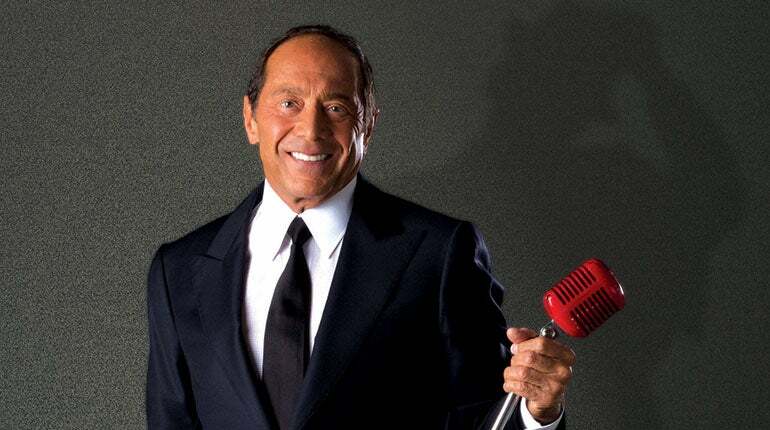 Legendary entertainer, actor, and songwriter Paul Anka will perform “Anka Sings Sinatra: His Songs, My Songs, My Way” at The Hanover Theatre for the Performing Arts on May 16. “The Anka Sings Sinatra tour will honor a great artist who has influenced me more than anyone else throughout my career, Frank Sinatra. It will also feature the hits that have spanned my career on this 60th anniversary year. It will be a night filled with his songs, my songs, my way,” said Paul Anka. Since the inception of his career, Anka’s songs have been performed well over 100 million times worldwide. His LP and single sales collectively number more than 90 million. With well over 500 songs to his credit, the most memorable are “Put Your Head On My Shoulder,” “My Way,” and the famous theme from “The Tonight Show Starring Johnny Carson.” Anka has also recorded over 126 albums worldwide and in 2013, released his New York Times Bestselling autobiography, published by St. Martin’s Press, entitled My Way. During the same time, his new 14-song album entitled Duets was released by Sony Music Entertainment and featured artists such as Frank Sinatra, Michael Jackson, Tom Jones, Celine Dion, and Michael Bublé (who Anka was with from the start of his career as well as co-producer on his self-titled album in 2003).